Sunday 12 May is officially open! Co-founded 21 years ago by Women in Super founder Mavis Robertson and Louise Davidson, the event is Australia’s largest breast cancer fundraising initiative with funds going directly to the National Breast Cancer Foundation (NBCF) for vital breast cancer research. “We are committed to funding vital breast cancer research and our aim is to raise over $2.1 million this year to make a significant impact in improving survival rates and treatment outcomes. Now 91 per cent of women are still alive five years after diagnosis,” says Sharon Morris, Mother’s Day Classic Foundation CEO. Join our very first Women in Super MDC team! Register now! And guess what?! This year Women in Super is turning 25. We have been the voice for women in super for 25 years and for the very first time, we will enter our own “Women in Super” team for Sunday 12 May 2019! 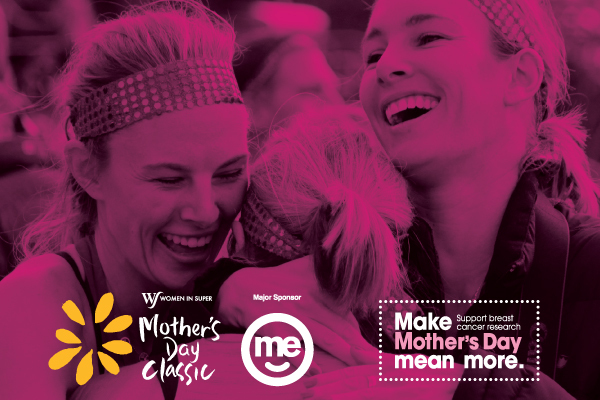 If you’ve always wanted to be involved but have struggled to find motivation or – in particular – a team, we’d love for you (and your family) to join ours so we can celebrate our milestone together while supporting the Mother’s Day Classic. All fitness levels are welcome! We already have registrations for Brisbane and in Melbourne, we - the Women in Super staff - will get you personally over the finish line & be with you all the way through! To date, the money raised by the Mother’s Day Classic has contributed to funding an impressive 64 breast cancer research projects and over 250 dedicated and passionate Australian scientists. This year’s goal is to raise over $2.1million so vital research projects can be funded, while also supporting Mavis Robertson’s commitment to not only achieving an equal and fair superannuation system, but helping women reach their retirement age in the first place. So, join us to help give hope to the 50 women diagnosed with breast cancer in Australia every day, by registering for the 2019 Mother’s Day Classic today! Register now: https://lnkd.in/f8g5egb now! If you'd like to join us, simply type "Women in Super" when asked if you'd like to participate in a team. We can't wait to run and walk with you and Make Mother's Day 2019 mean more. If you are still hesitant, please don’t be! Simply email Claudia Loeber-Raab, Communications and Engagement Coordinator, on cloeberraab@womeninsuper.com.au. More information to come.